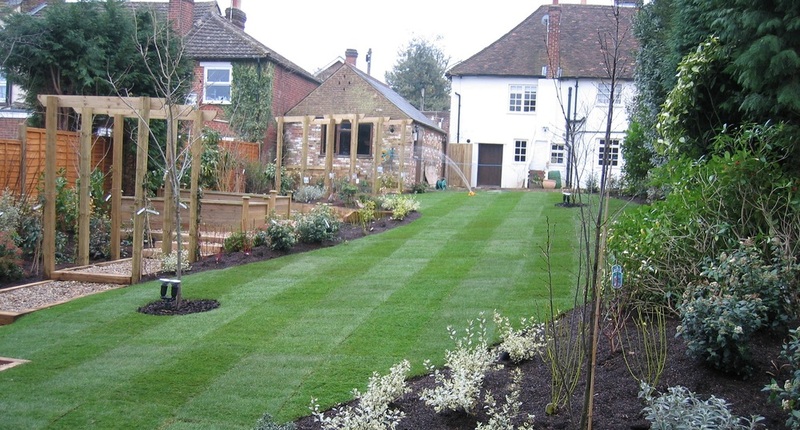 Based in the South East of England, G.I Landscapes (UK) Ltd have two divisions, our Grounds Maintenance Division has a growing portfolio of estates across the south East. Current clients include some of the UK's major property management companies such as First Port, HML Group, Town & City Management, PJJS Management Services, Rendall & Rittner, SDL Bigwood, HSC Management and GEM Property Management. See our ‘Grounds Maintenance’ page for more details. Our Landscaping Division cover every aspect of landscaping from the garden design right through to the construction. We cover everything from small private garden overhauls and re landscapes to large construction sites working for companies such as Morgan Sindall, Crest Homes, Baxter Homes and ISG. See our Landscaping page for more details. We also work alongside Kent County Council as a registered contractor and have complete safety policies in place, including Safe Contractor, Environment Agency Waste Carrier License and Construction Skills Certification Scheme accreditation. See all our up to date projects for both our divisions on our social media links.